Get the scoop, and the latest live pics, of Ferrari's latest concept, the FF. 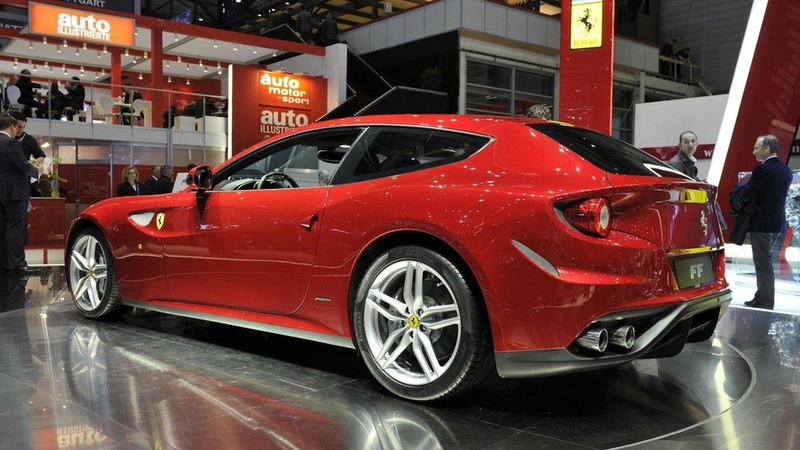 Members of the media finally got their first glimpse of the unusually-styled Ferrari Four concept, or "FF". Revealed at the Geneva Motor Show, the FF uses a mammoth 651-horsepower (485-kW, 660-PS) 6.3-liter V12 engine, capable of delivering up to 504 ft-lb (683 Nm) of torque. Love it or hate it, the car is arguably Ferrari's most practical car. It features as much cargo space as a Mazda2 sedan, with 450 liters (15.9 cubic feet), a number that nearly doubles when the rear seats are folded down. Being that it is a Ferrari, the car still has to offer exhilarating performance. On its way to a 335 km/h (208 mph) top speed, it races from the line to 100 km/h in just 3.7 seconds, according to the automaker. A seven-speed double-clutch transmission and new Ruote Motrici four-wheel drive pretty much guarantee that every time behind the wheel will be a great time. And your wallet won't get murdered at the gas pump, either. The FF concept reportedly travels 100 km on 15.4 liters of fuel, or 15.3 mpg US. However, the high 360 grams of CO2 emissions per kilometer will boost added taxes in a number of countries. What do you think of the car? Let us know in the comments below.